Entries will be open between 1st November 2018 (midnight) - 22nd June 2019 (12noon), unless full prior to this. Watch: Bowood House Triathlon, Sprint & Super Sprint 2017. Winner of the South West Commercial Event of the year in 2018 by Triathlon England. Voted South West Commercial Event of the year in 2017 by Triathlon England. Shortlisted for National Commecial Event of the year in 2017 Triathlon England. 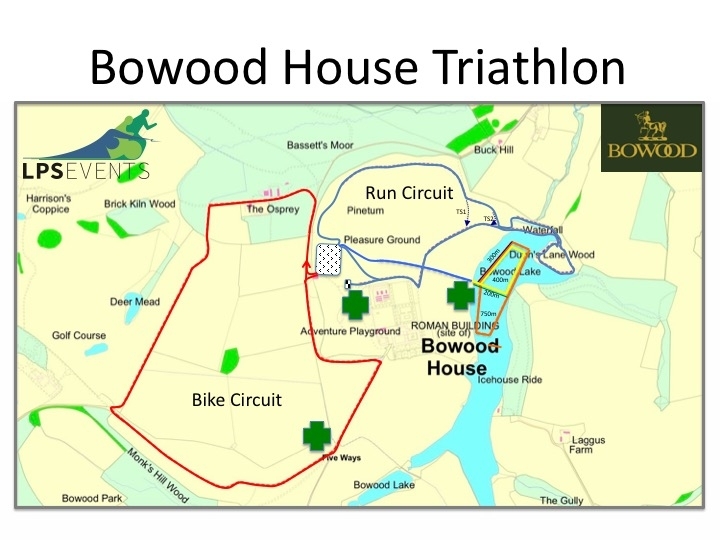 Bowood House Sprint Triathlon (Sunday only) will be the South West Regional Championship event. We also have a super sprint triathlon and tri stars triathlon distance available - click here. If you wish to fundraise for this event, we are encouraging support to The Forever Friends Appeal. The Forever Friends Appeal is the fundraising charity for the Royal United Hospitals Bath (RUH). Our hospital touches the lives of over half a million people across Bath, Somerset, Wiltshire and their surrounding towns and villages. It’s where our babies are born, our broken limbs are repaired, we are treated and cared for, we learn to manage long-term conditions and so much more. This year, we are celebrating 20 years of fundraising - since 1999, more than £20 million has been raised for patient care at the RUH thanks to the support of the public, major donors, trusts, foundations and legacies. Because the hospital means many different things to many different people, you can fundraise for any ward, department or campaign that is close to your heart. By taking part in the Bowood House Triathlon and collecting sponsorship, you will help to fund extra special projects and state of the art equipment (beyond the remit of the NHS) that will transform care for our patients, at a time when it matters most. For more information on The Forever Friends Appeal visit their website here. The swim will take place in the fresh water private lake set in the lower part of Bowood Estate. You will enter the water on the pontoon and start between the marked buoys, and swim around the still waters of the lake. The exit will be on the pontoon, which leads into a sloping climb towards transition. Transition will be located on the finely manicured lawns and under the shadows of Bowood House. Racking will be numbered according to waves. The cycle route will take you into the 'wilder' parts of Bowood Estate, looping around the grounds past Bowood Golf Course, Osprey Farm, and including Lord Lansdowne’s' private driveway, which is inhabited with game fowl. Once completing the cycle stage, you will head out onto a scenic run around the gardens passing the secret waterfal and Doric temple. On completion of the two laps, the finish line will be near transition. If you would like to take part in this duathlon event as a team, please select the team entry option and include additional details in the custom field at the bottom of the page. You may have two or three members in your team. Your timing chip will act as your relay baton and ALL changes must take place in the relay change over box in transition. You will be able to register for the event and pick up any race numbers before your start time. You will be required to show photographic identification or your confirmation email to verify whom you are when you register on the day. These times will be published within the race information pack prior to the event. All cycle racking is to take place on the day of the event. Only competitors will be allowed in transition. Upon registration you will be required to wear a wristband for grounds entry. Ample parking is available at Bowood House, main visitors entrance. Upon entry into the grounds, there may be other races going on, you will be directed by traffic control to cross the cycle route. Please arrive in good time before your race. The Tree House Cafe will be serving refreshments throughout the day, this is accessible from the entrance to Bowood House. 1st in the following male and female categories: A, B, C, D, E, F, G, H, I, J, K, L, M, N, P & Q. The 1st, 2nd & 3rd team relays will also be awarded. We will have a Triathlon England Race Referee present on the day of the event. For your entrance fee, you will receive a bespoke medal, designed especially for this event. You will also receive a finishers memento. Electronic timing is available for the event and you will receive electronic split times for the event. 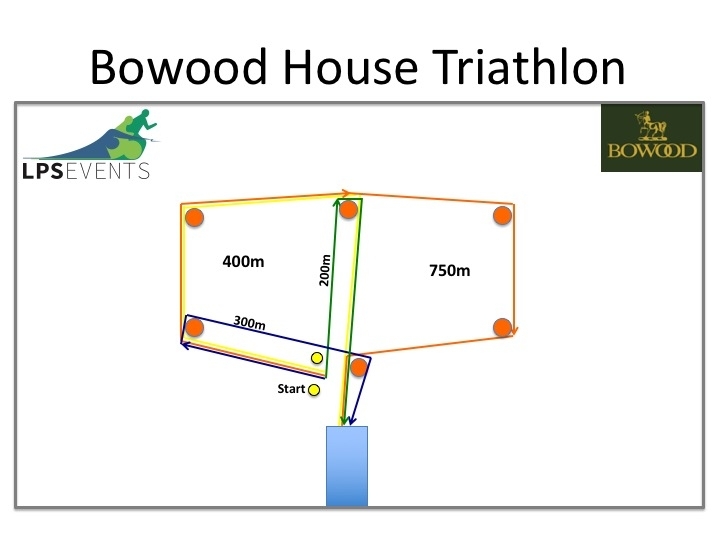 You will have access to a free online training programme and also you will be part of the 2019 Bowood House Triathlon. Situated at the heart of the Bowood Estate, Bowood Hotel, Spa and Golf Resort is the perfect place to stay whilst preparing to compete in the prestigious Bowood Triathlon. Or, why not stay after the race and take full advantage of The Spa at Bowood, including our state of the art spa facilities, gym, Jacuzzi, infinity swimming pool and spa treatments to rest your aching muscles. Bowood House & Gardens, home of the Marquis and Marchioness of Lansdowne. Bowood offers a fantastic day out in Wiltshire for all the family. Famous for one of the UK’s most extensive Adventure Playgrounds, children are guaranteed the time of their lives. Younger children will enjoy meeting friendly farm animals at Tractor Ted’s Little Farm and undercover fun in the Soft Play Area. All the events hosted at Bowood House are on closed roads and this makes for perfect racing conditions without the traffic. With a suitable spectator friendly layout, this venue provides the perfect location to enhance your very first racing experience. Bowood, Bowood House, Bowood Estate, Triathlon, Swimming, Cycling, Running, Closed Road, Race, Tri Stars, Bowood Triathlon, Sprint Triathlon, Sprint Tri, Super Sprint Triathlon, Super Sprint Tri, Tri, Children’s Tri, Children’s Triathlon, Junior Triathlon, Triathlon Wiltshire, Super Sprint Tri, Triathlon England.